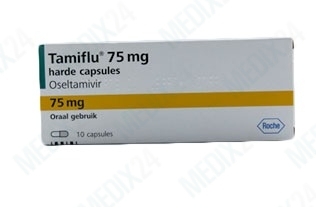 Tamiflu ® is used against flu-viruses and became famous because of recently cases like the avian flu or the swine flu. Influenza, named as real flu, is caused through an infection with the influenza-virus, which attack human cells and make infected cells reproduce. After the reproduction of the viruses in the cells, new cells will be attacked. This process weakens the body of the patient. If a low immunity exists – the high-risk group includes above all chronically ill persons and the elderly– influenza can take a lethal course. 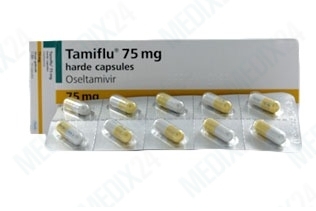 The active ingredient Oseltamivir in Tamiflu belongs to the group of Neuramidase inhibitors. Neuramidase is a viral protein, which benefits the spreading of viruses within the body. The active ingredient Oseltamivir prevents the influenza viruses from spreading through a blockade of viral protein Neuramidase so that the immune system of the patient can easier take action against the viruses that already exist within the body. Through that the duration of infection will be reduced and the existing complaints and symptoms will be attenuated. Please notice, that the treatment with Oseltamivir should be started right after the appearance of first symptoms, not later than two days after. The affection with influenza is highly contagious. 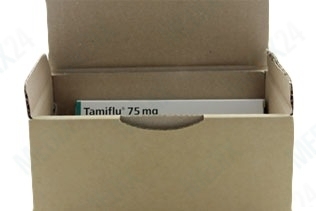 People, who count to the high-risk group and did get in contact with a flu-infected person, have the option of taking the active ingredient Oseltamivir preventively. Oseltamivir is not a replacement for a vaccination against influenza, because every year are different kinds of viruses responsible for flu epidemics. That is the reason, why every yearly vaccination is adapted to the most recent germs to guarantee protection against certain infections. You should be careful, if you have chronical breathing difficulties, asthma infection, affections of the cardiovascular system, kidney dysfunctions, low germ resistance, or general health issues. Only after consultation with a physician should the medicine be taken during pregnancy and lactation. Over all is it advised not to take the medicament during this period of time.